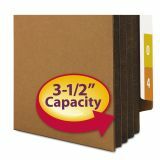 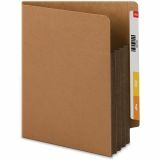 Smead 3 1/2" Expansion' File Pockets, Straight Tab, Legal, Redrope/Dark Brown, 10/Box - Extra Wide RedRope File Pockets feature two-ply end-cut tabs. 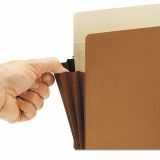 The favorite choice among law firms, these pockets are made to hold standard top-tab folders without bulging out the side gussets. 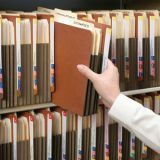 Organize depositions, discovery correspondence and more for a single client or matter in one pocket. 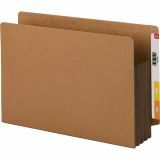 Use extra-wide pockets to transfer desk drawer folders to central shelf file archives. 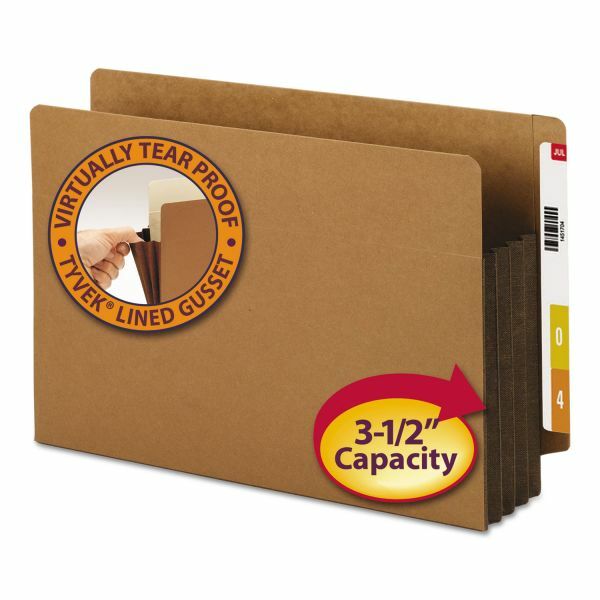 Fully-lined Tyvek gussets in bright colors allow color-coding by case or matter type and provide extra strength where needed. 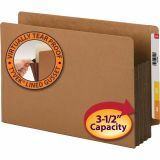 Pockets contains 30 percent post-consumer material.